I'm addicted to bread pudding! The CSA sent us the season's first sugar pumpkins and in my mind this recipe was born. I laid awake at night thinking about it, I dreamt about it, I researched it - I couldn't stop thinking about how to make it work. 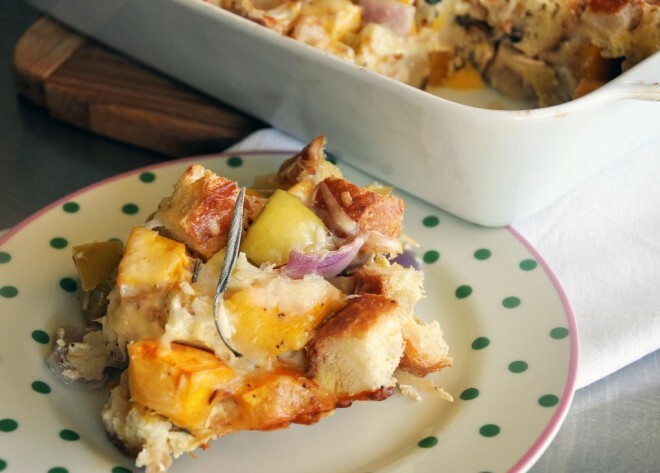 With thoughts of the warm end of summer, enjoy this savory, cheesy bread pudding as you embrace the fall to come. Preheat oven to 400 degrees. Put pumpkin, apple, onion, sage, minced garlic, 1/4 tsp each SnP and EVOO in a single layer on a foil lined cookie sheet or square pan coated with cooking spray. Toss everything together well. Bake for 15 minutes, remove from oven to cool and reduce oven to 350 degrees. 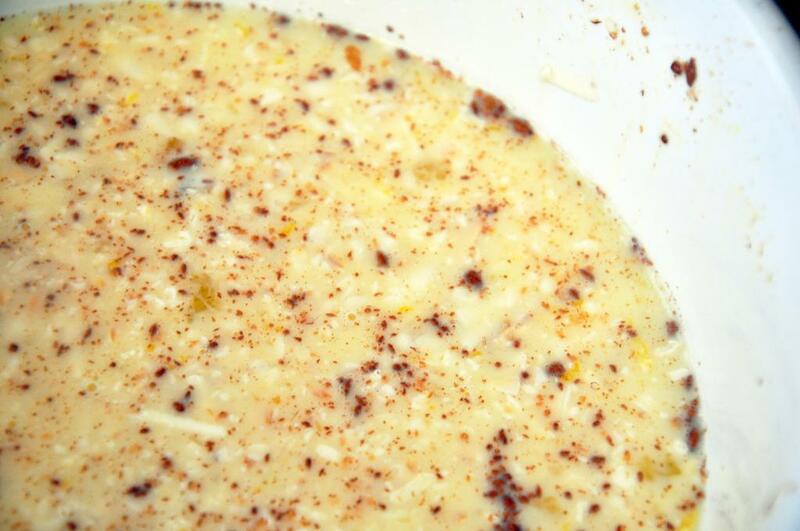 Meanwhile, combine milk, nutmeg, cinnamon, eggs, remaining 1/4 tsp each SnP and half the cheeses with a whisk. 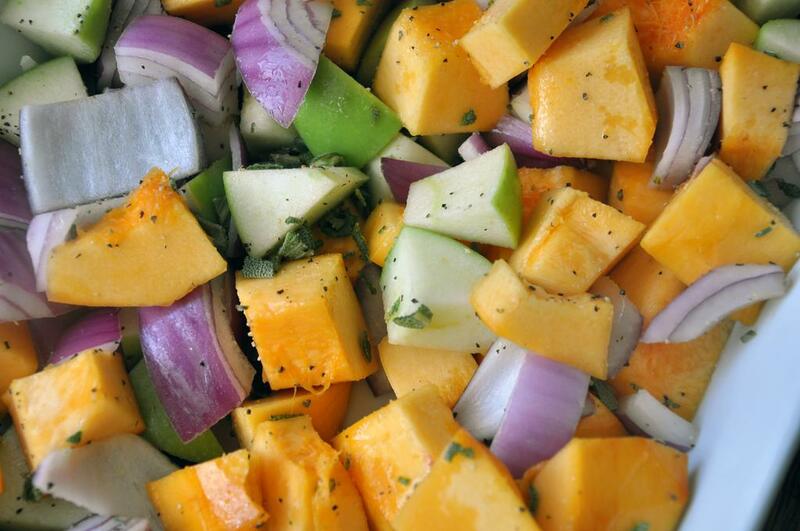 Add cubed bread to vegetable mixture. Pour egg mixture over top. 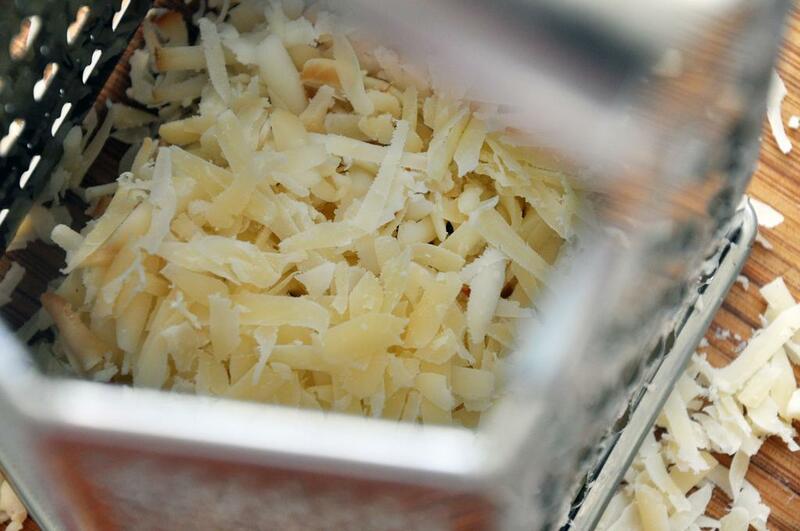 Gently combine.&nbsp;Sprinkle remaining cheese on top. 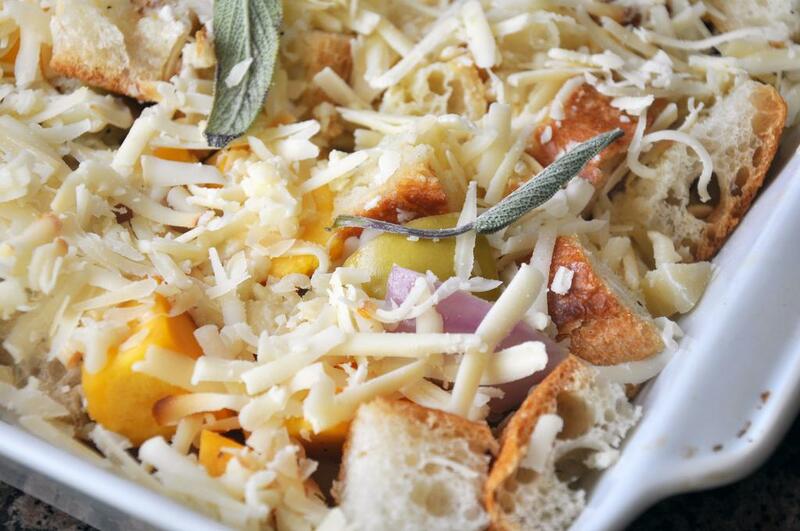 Cook in 350 degree oven for 45 minutes or until eggs are set and dish is golden brown.